Before making headlines with back-to-back wins to start the 2018 FedEx Cup Playoffs, Dechambeau was making waves in the collegiate golf sphere. He became just the fifth player in history to win the NCAA Division I individual title and the U.S. Amateur Championship in the same year. Already a golf stand out before stepping foot on a college campus, Woods needed just two years to leave a tremendous impact on collegiate golf and Stanford. He was a recipient of the Jack Nicklaus National Player of the Year award, the Haskins Award and the Ben Hogan award. The GOAT, as some will say, was a two-time Pac-10 player of the year, a two-time first-team All-Pac-10, and was the Individual Pac-10 Champion in 1996. 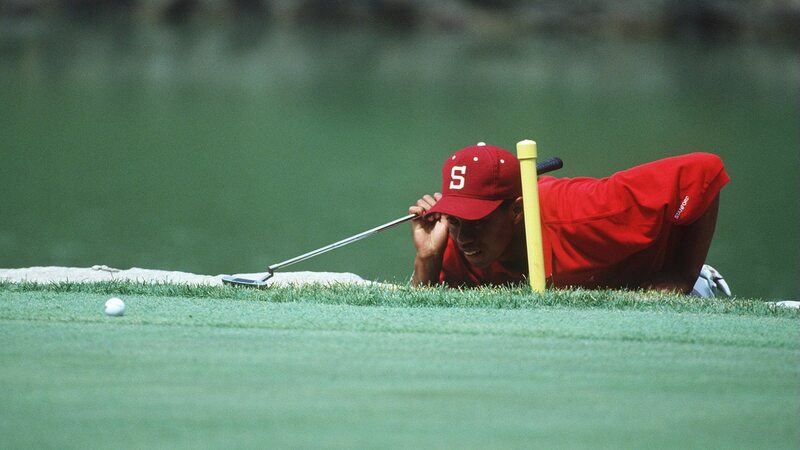 1996 also marked Woods’ NCAA Individual Championship title and a fourth place finish for Stanford. He is an 11-time tournament winner for Stanford, holds the single-season wins record for the Cardinal and tied for first in career wins despite only having played in 26 tournaments during his time there. Also of note — the alumni of the Stanford men's golf program have won a combined 29 championships at the four major golf championships, U.S. Amateur and British Amateur. Tiger is responsible for 17 of those victories.